Her flowers and dots made me think of poinsettias and snow…crazy hmm? We’ve still got lots of the white stuff around, but it is spring right? This is another wonderful technique that I learned from the Online Card Classes Clean & Simple 3 from none other than the fabulous Debby Hughes. She makes the most amazing cards! The poinsettia was heat embossed in white and the sentiment stamped in black. Next, they were both masked off to allow for the next step. I dribbled two different colors of mist across the card. Then the mask on the poinsettia was removed and the poinsettia was colored with a SU! marker and a Copic marker. Next, for a little added shimmer…some Wink of Stella marker. Once that was dry the mask was placed back on the poinsettia (the sentiment mask has remained in place). 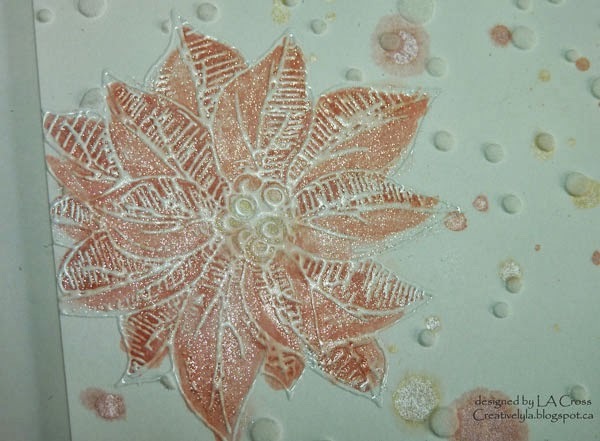 Then using some embossing paste and a stencil, I added the “snow”. The panel was added to a card base using foam adhesive and done! this is gorgeous, I luv the ink splatter, so fun! I am thrilled you played along with Simon Says Stamp Wednesday Challenge! Great combo of embossed splatter and ink splatter. Great flower too! I don't think it's crazy at all, it is so much to learn about the different inspirations!! Your poinsettia is absolutely gorgeous, thank you so much for CASing me!! Super texture Lee-Anne, lots to look at here! Wow what an awesome card your coloring is sublime and I love the splatters. Lee-Anne, this is so sparkly and soft and beautiful! The ink splatters are so subtle, they add such a nice touch! Thanks for playing along at CASology this week! Superb textures, I love the sparkle on the poinsettia !! Gorgeous card Lee-Ann, I love the texture on your card and the colours and sparkle are so pretty. 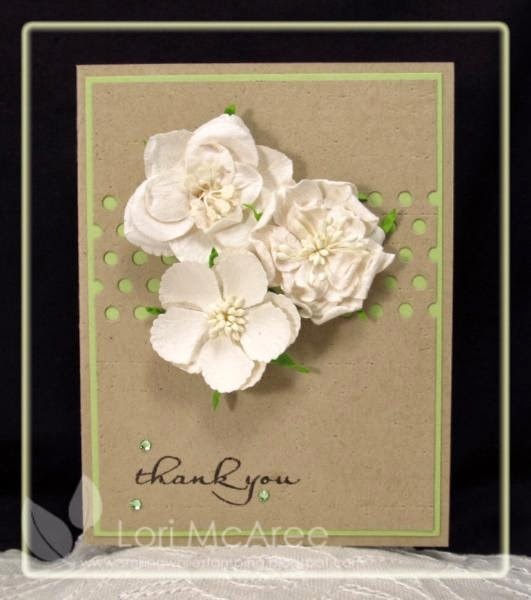 Love your embossed flower, the bumps, splats, and most of all the colors are wonderful for all of it!! !